adidas by Stella McCartney has announced that supermodel Karlie Kloss has joined adidas by Stella McCartney as the face of its Fall/Winter 2016 campaign. Karlie Kloss pushes the boundaries in her career as a model and in sports where she demonstrates her broad athletic skills. She encourages a generation of women worldwide to accomplish more through her impressive list of talents, including modelling, sports, coding and philanthropy. With her values and ethos in line with the brands, the 23-year-old inspires athletic women everywhere by showcasing her natural sporting ability in the collection’s key looks. 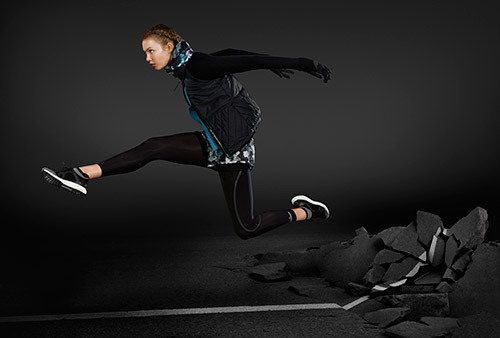 A fusion of targeted technology and cutting-edge style, the adidas by Stella McCartney Fall/Winter 2016 Collection pushes the boundaries of sportswear to its limit, encouraging today’s strong, multi-faceted women to break the barrier and achieve the most from every workout.